We are happy to announce that dynamic calculations conducted by the energy consultant DGMR Bouw BV have shown that SageGlass dynamic glass is more favorable than movable external solar protection systems in limiting excessive solar gains and thus in reducing the total building energy consumption. This has been demonstrated for SageGlass in horizontal and vertical applications, and for single zone and LightZone configurations. SageGlass has obtained a Declaration of Equivalence, approved by BCRG (Bureau Controle en Registratie Gelijkwaardigheidsverklaringen), enabling energy consultants to integrate SageGlass in the NEN 7120 compliance calculations. The declaration allows considering SageGlass as equivalent to an automated external solar shading system for commercial buildings regarding energy performance. On top of an excellent energy performance, SageGlass’ unique technology keeps you connected with the outside world and lets in the maximum amount of daylight while protecting you from glare and exempting you from intensive maintenance due to mechanical systems. 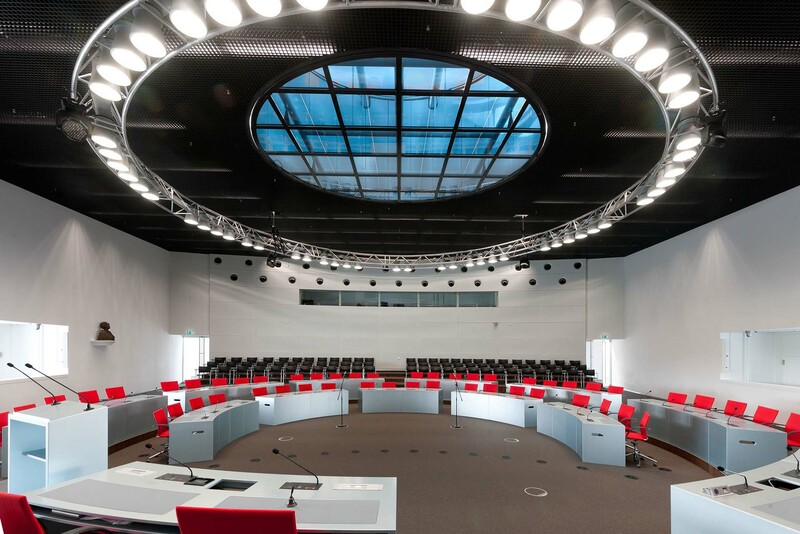 In 2012, SageGlass was first installed at the Government Center in Utrecht to help solving the glare and overheating issues. We believe that this Declaration of equivalence will open the way to new great developments and projects in the Netherlands for SageGlass.